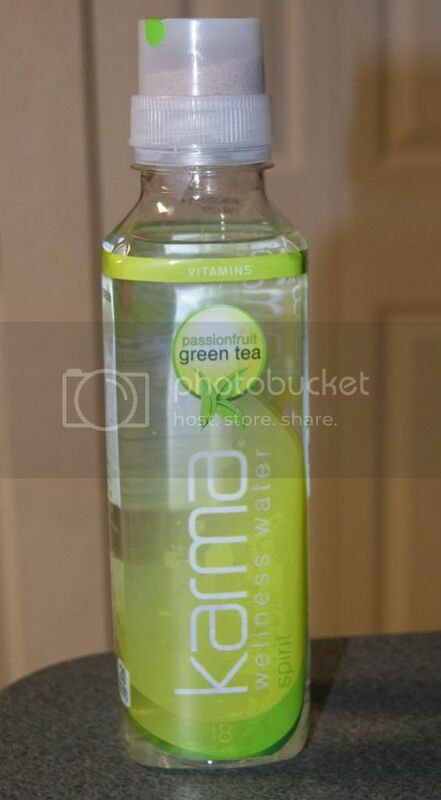 Andrea's World Reviews: Karma Wellness Water Review and GIVEAWAY!! One of the most vital aspects of dieting, or even just one's daily diet in general is consuming enough water. Water is on of the most important things on earth. No living creature can survive without it, including humans. Nowadays, it seems like we drink anything and everything except water. Believe me, I ma not passing judgement, because I was probably more guilty than anyone of this. In fact, I am still working very hard to consume enough water each day. As part of my diet plan, I am supposed to consume at least 64oz of water a day. Usually, it I consumed 16oz it was a huge accomplishment. I drink diet soda, sometimes coffee, and water only occasionally. Usually I actually don't drink enough of anything and get dehydrated. But the truth is, even if you drink a lot of the wrong kind of drinks, you can still become very dehydrated, maybe without even knowing it. I was actually shocked at many of the symptoms of not drinking enough water. Chronic Fatigue, Forgetfulness, headaches, dizziness, dry skin and more. I get the dizziness on standing all the time. Literally multiple times every day. Usually every time I stand up from afternoon on. I had kind of attributed to my diet, but it is really not that restrictive, and I think I probably knew that wasn't really it. I have been pushing myself to drink more water, but I really do not like water, and it is so hard to force yourself to drink that much of something you don't like. I needed a better way. Thankfully, I found one. 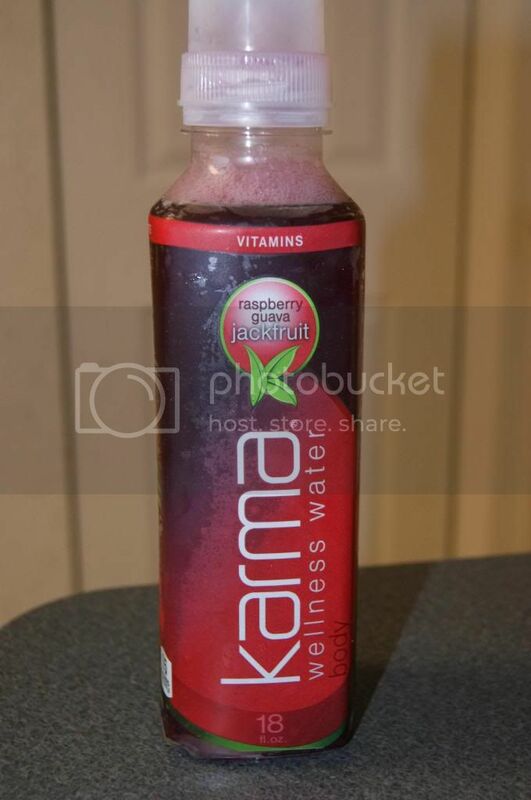 Karma Wellness Water. The name says it all. 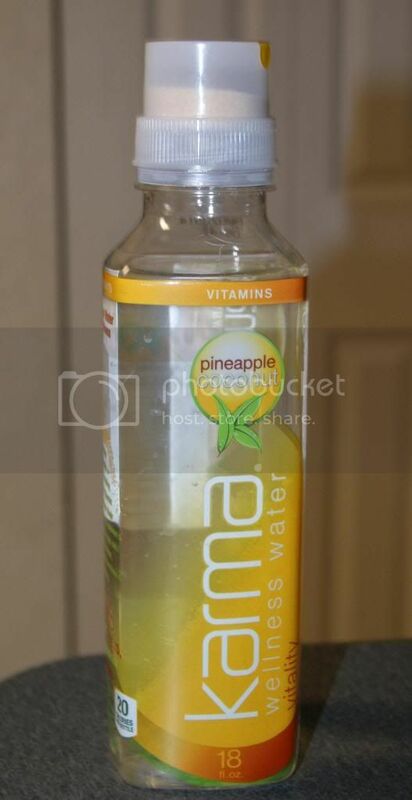 WELLNESS WATER. So you get all the necessary benefits of drinking water, plus more. Could anything be better than water that tastes good and is loaded with vitamins? Well the trouble though, is that vitamins deteriorate in water, so when they are added at production, they loose their potency. That pretty much defeats the purpose does it not. Karma is leaps and bounds ahead of the game though. They keep their vitamins(and flavors) in the revolutionary cap. They never come in contact with the crystal clear Spring water until you are ready to drink it. 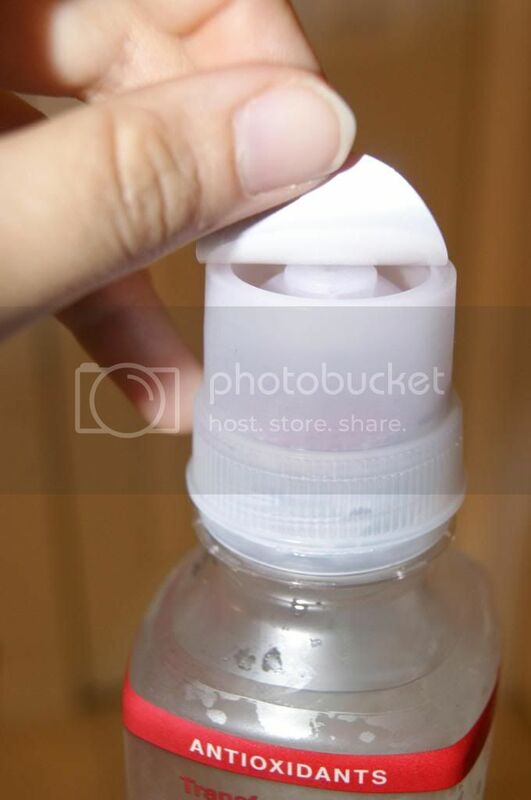 Then, you just remove the protective sticker, press down on the cap to release the amazing vitamins and flavors. Shake and enjoy. It is such a simple concept really, but it is also so ingenious. I am so glad Karma thought of this. As amazing as water is, vitamins can certainly make it even more so. I need all the vitamins I can get. Since I went from eating everything under the sun to limiting my portions, naturally I also consume less vitamins, but I cannot take supplements. I despise it to no end, so instead I just do without. Not very smart. Now I really can have it all. 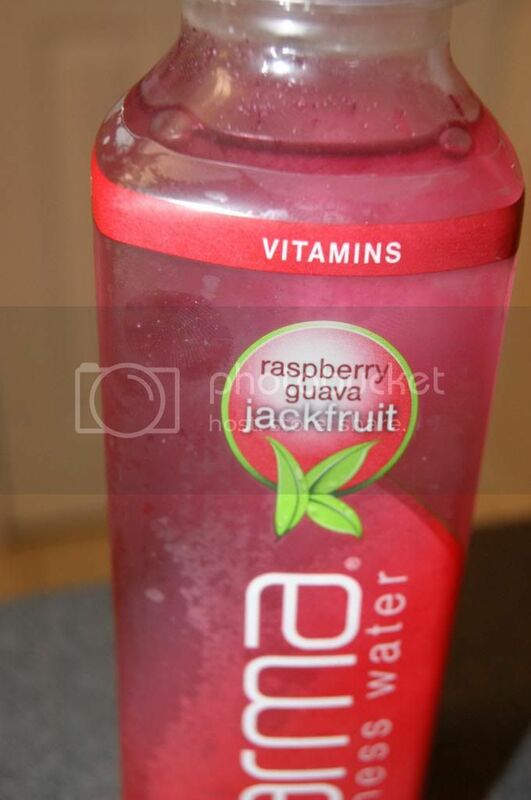 I get my hydration, my vitamins, and the great taste that I crave, all with 20 calories or less per 18oz BOTTLE. How could you possibly top that? How about offering 5 different flavors? Now what if each variety had a different wellness benefit? THAT is what makes Karma so special. Natural Caffeine work together to enhance mental alertness. The flavor is amazing. I love anything with mango, but especially citrus. Bright and fresh, so good. Ginseng, L-Theanine, Ashwagandha Extract, Acai and Pomegranate Fruit Extracts, Grape Seed Extract and Yerba Mate Leaf Extract combine to create the perfect mood elevation. It tastes so good. Light and refreshing, not too strong. I love Green tea, so this was perfect for me. Potassium, Sodium, Calcium and Glucosamine make this water perfect to accompany and aid any physical activity. This is actually my least favorite flavor, although it is still good. I don't even know what about it "bad" because there really is nothing, just not as much my taste as the others. But the benefits are probably the ones I need most, so I love that. Green Tea Extract, Resveratrol, Maca Extract, Calcium, Magnesium, Potassium, Sodium, L-Tyrosine and Phosphorus combine to provide optimal hydration. This is my absolute favorite variety. The flavor is so tropical and incredible. It is AMAZING. The hydration is phenomenal too. I need that so desperately. Vitamin C4, Zinc, Berry Extracts and Tea Extracts come together to boost your immune system and keep you healthy. Your immune system is so important. Keeping it strong ensures it will keep you strong. This flavor is incredible as well. I think this is my second favorite flavor. I love berry flavors, so sweet and deep. Perfection. 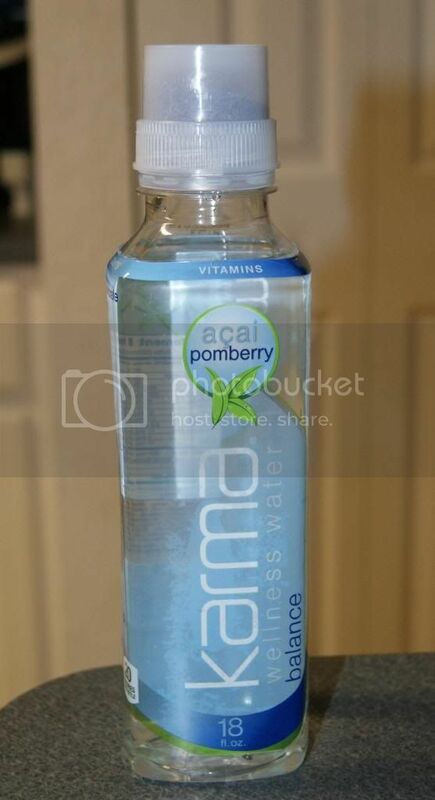 Everything about Karma Wellness Water is positively fabulous. I was able to drink so much more water than I even have before, and my dizzy spells vanished. It is like a miracle drink. I am hooked. 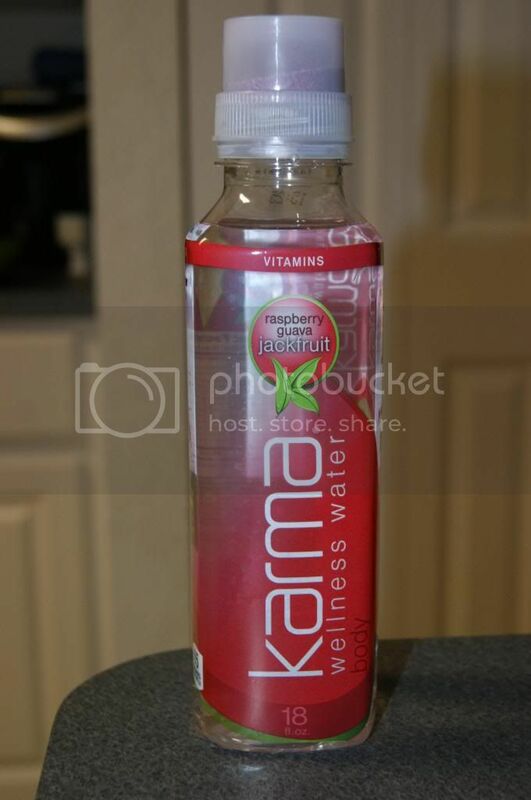 I think everyone needs to try Karma Wellness Water. And since I really beleive that, Karma and I are giving a 5 bottle(1 of each flavor) Sample Pack to one very lucky winner. Enter below. Good luck. I'd love to try the orange mango. 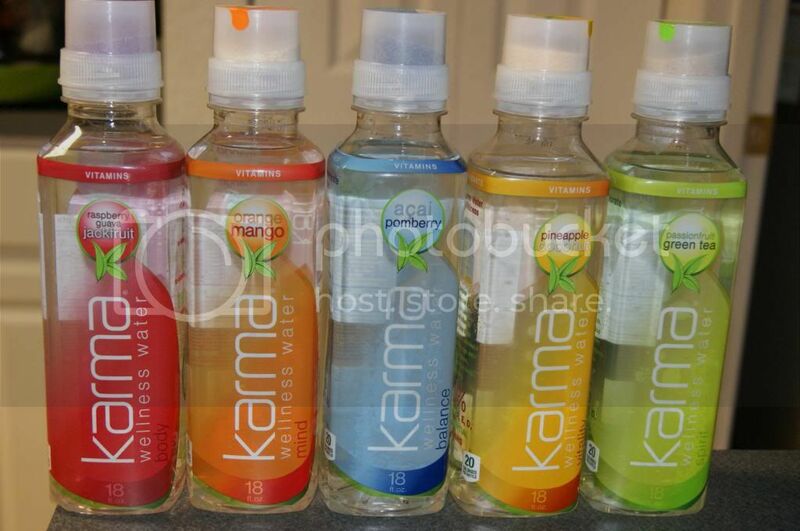 > "Karma Wellness Water Review and GIVEAWAY!!" < Loved it! I'd say the orange mango flavor. they all sound really good but I think the Raspberry one sounds best to me! !